Wargaming in most Department of Defense contexts consists of the action-reaction-counteraction of the Joint Operations Planning Process and is usually the first thing that comes to mind when this tool is mentioned. A close second to "planning" wargames are exercises conducted at the tactical and operational level, often also called by the same name. However, both these fail to consider strategic decision making exercises. Strategic decision making exercises can be described broadly (though not exclusively) as wargames, either seminar or matrix, which leverage gaming tools such as dice, cards, or boards and tokens to facilitate the process. These games are applicable to strategic planning, but are generally limited to academic (including military) institutions or small cells in strategic organizations due to the specialization required to construct and run such games. What this essay aims to do is introduce to planners and analysts the broader concept of wargaming while highlighting the utility of these alternate methods in planning and supporting military leaders. Peter Perla, a recognized authority on defense-related wargaming and author of The Art of Wargaming: A Guide for Professionals and Hobbyists, defines wargames as, “a warfare model or simulation that does not involve the operation of actual forces, and in which the flow of events is shaped by decisions made by a human player or players.” While this includes the type of wargaming conducted in planning, it also applies to a variety of other wargames and simulations available to planners and analysts to solve or inform military problems that are limited only by the capability of the wargame design team. In any wargame, there are several broad requirements. Those are objective, scenario, data, model, rules, players and analysis. From these inputs, a wargame design team can determine the scope, type, mechanics, and outputs required of the wargame. To achieve strategic decision-making exercises objectives, the design team may use any combination of tools including argumentation, map, game pieces/tokens, or adjudicated discussion. 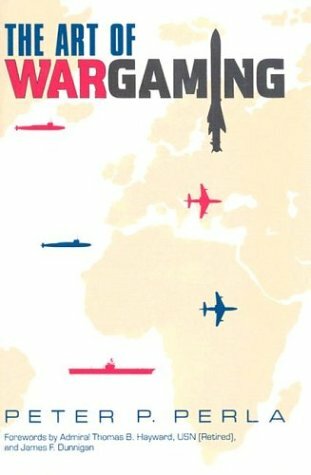 Aside from simulations and planning analysis, there are two other broad categories of wargames used as strategic decision-making exercises (though others may exist as well). The first is a seminar wargame. In this type, topical experts are assembled and presented with the problem scenario and participate in a facilitated discussion. Example: A seminar wargame is conducted to discuss the threat of Russian occupation of Arctic territory. Participants are assembled based on regional or topical expertise from academia, think tanks, government and private sector to participate as role players in several cells. These cells represent the U.S. government, EUCOM / NORTHCOM, Russia, Canada, the Scandinavian countries, and NATO and are populated by a mix of players from each of the source groups. The wargame begins with an introduction brief laying out a scenario in the near future where Russia is constructing military/research facilities in the Arctic and seems to be threatening to occupy territory to secure energy resources. The players, divided into their cells, are then given a specific scenario (The basing of major ground forces and missile defense facilities in new areas) to which they will go into small group discussion and determine what their reaction to such a move by the Russians would be (the Russian group discusses why they would do it and propose a possible Russian strategy). The small groups are then reassembled into the plenary session to present their position to the entire group, including the wargame sponsor, who is hoping to gain insight into adversary actions and develop planning to anticipate or react to these future potential events. The Scandinavian group may speak of joint energy exploitation as a way to work with, rather than against, the Russians. The U.S. government group may discuss certain international implications, from a Department of State perspective while the EUCOM/NORTHCOM group will discuss military strategies available to monitor, counter or cooperate in the arctic territories. This cycle of scenario - small group discussion - plenary discussion usually occurs three to four times over a four-day seminar wargame with a final report drafted for the sponsor. Seminar wargames can provide a good amount of qualitative information such as possible adversary motives, likely allied responses, or international legal and diplomatic considerations provided the right experts are selected and properly moderated/facilitated. Seminar game weakness lies in the possibility for it to devolve into a discussion of generalities that provide little useful information in supporting decision-making. This occurrence s common for players from government who hold high-level positions and whose personal contributions may be construed for government policy. To account for this, strategic decision making exercises are commonly conducted under non-attribution rules unless a player opts-in to having their name included in the final report. For planners, this provides some elements to incorporate into planning that a military planning group or commander may not have considered. Outside experts often have unique insight that does not exist in a planning group and may be able to clarify a planning assumption to aid the planner. For example, in a recent wargame, an expert in the energy sector who had spent over 20 years living in the Middle East and working with their oil companies participated, providing a perspective unavailable to most military planning groups. For analysts, they not only gain access to otherwise unavailable or unknown expertise but have the opportunity to improve their understanding of a topic or region such as think tanks and even agencies that are more likely to respond to a flag office invitation than email from an unknown analyst. Quite often, the interaction between expert and planner/analyst also leads to the development of habitual relationships that carry forward into the future enabling continued interaction. Another type of game is the matrix game. This is more similar to commercial strategy games (Ruse, Panzer General, Axis & Allies, Risk…) in that matrix games are turn-based and lends itself to strategic decision making by allowing players to formulate and execute a strategy against other players (also doing the same) and seeing the potential results of the strategy play out. From the PAXsims website, matrix games are defined as, “a game players (often representing factions, agencies or even countries) typically take turns making an argument to the other players about what they wish to do, why they believe they would be successful, and what effects they expect this to have. Opposing players may be invited to identify counter-arguments. The moderator adjudicates the outcome with or without the use of dice. Example: In a Homeland Defense strategic matrix wargame the players are divided into eight teams of regional/topical experts representing the U.S., Mexico, Canada, the Caribbean nations, the Central American nations, and the European nations with Caribbean interests, a team representing international terrorism, and a team representing international organized crime . Each game round (complete turn by all players, accounts for 3 months of actual time. The United States is wargaming a potential strategy of layered defense where regional partners participate in reducing the threats to the U.S. homeland through various security cooperation mechanisms. During the U.S. move, the U.S. says it will sell Mexico, Panama, and the Dutch Coast Guard cutters to enable interoperability. This sale will be bolstered by information sharing, military training, and an economic incentive in the form of trade benefits. The U.S.’s end state is to have a web of security cooperation and similar systems with partners for rapid threat warning. The U.S. player argues they can do this because they have the shipbuilding and training capability and historic relations with the target nations. Each of the other players can then support that argument (Panama and Mexico say they are open to the deal and will accept) or counter it (the Dutch, while open to the idea, already have a maritime platform and the organized crime team argues that their personnel are inside many of the regional military and police forces and interoperability will enable them to monitor U.S. efforts more closely). The moderator, assessing the U.S. and other player arguments awards a modifier of +1 to the dice roll (representing probability of this strategy's short term success) based on three good positive arguments and two good negative arguments. The U.S. then rolls two dice and must get a seven or better to succeed (six or better given the +1 awarded for argument). This sort of game requires more preparation than a seminar game because of the requirements to develop the near-future scenario backstory, provide initial player guidance (consisting of current major international relations, general starting strategy and objectives) and physical game board/piece development. However, this investment is justified by the analysis of alternative futures and allows players to explore alternative options and strategic “what if’s” to plans and policies as well as ability for re-playing the game. Weakness in these games comes in the skill of the players to replicate their role (does the player know enough to make a good argument for themselves or against an adversary) and incorporating the randomness factor represented by dice/the umpire in results data (a well constructed strategy and strong argument can be negated by a bad dice roll) These wargames are typically played until a natural conclusion is reached or some condition is met (player victory condition, stalemate, etc.). A current, well-developed example of this is the Kaliningrad matrix game used by the Army War College (this game explores theater strategic military options in the Baltic region against a Russian adversary). Matrix wargames are used in some academic settings as well as by private sector and are gaining interest in military communities. In a recent game conducted by the Army War College, a region was selected to ‘test run’ a sponsor’s proposed strategy. The U.S. player acted within the goals of the strategy while the other seven players (representing partners, adversaries and other states/non-state actors) were given roles including strategic goals. The wargame considered the use of all elements of national power (diplomatic, information, military, and economic) to demonstrate for the sponsor the options they may have available or complementary efforts they might need to enable their military strategy. Of the several iterations played (each lasting about a day), no two games played the same way and each provided unique insights to the thinking, actions, and options available to the represented actors. Each replay of the wargame allows the planner/analyst to examine the potential effects of a change in some aspect of the scenario. Part of this is that as players learn the game, they become more adept at thinking how actions in the current turn will impact future turns and begin building strategies that execute over multiple turns (just like what should be happening in real planning). This often includes better teamwork between players to work together against a common adversary. Another part of the learning by players is that they consider the actions of other players in previous games. They begin to learn their allies and adversaries and better exploit strengths and weaknesses. For a planner, this learning is invaluable and easily carries over into their development of real plans. Each replay of the wargame allows the planner/analyst to examine the potential effects of a change in some aspect of the scenario. What if the U.S. were to gain or lose an authority (such as certain counter-terrorism authorities allowing unilateral action in other countries)? What if an adversary or partner acquired some new technology or changed their strategy? For the analyst, they are able to learn their role (ideally, the country or topic they are an analyst of) more deeply and begin to understand motivations and actions in ways not possible without the immersive experience. In a recent Army War College event, the game was not only taken home by the sponsor organization but also by several of the external experts for their own use in areas of intelligence indicator development and to test assumptions. Furthermore, a matrix game designed to incorporate all the elements of national power forces analysts to think beyond military capability and into the enabling capabilities that enable or retrain military action. By studying these supporting requirements, analysts are better able to support planning by having an appreciation for the entire adversary system and are enabled to provide better advice on how to approach a given problem set. Wargaming is not just a planning process step for military staffs but includes a variety of methodologies that are useful in informing strategic decision making and aiding in the development of strategies and contingency plans prior to or during detailed planning. By bringing wargaming into the planning process early and often, a staff can enable the inclusion of a wide variety of information and escape the often-hyper-focused mentality that comes at the initiation of a headquarters planning process. Finally, for those potential wargame sponsors, there are numerous military, academic, and private capabilities to enable the design, execution and analysis of wargames to address their objectives. Krisjand Rothweiler is assigned to the U.S. Army War College in Carlisle Barracks, PA and has previously published on Wargaming and Intelligence. He has been assigned to a variety of assignments including USSOUTHCOM, the Joint Multinational Simulations Center (Germany), and the 25th Infantry Division. The views expressed in this article are the author's and do not reflect the official position of the U.S. Army, the Department of Defense, or the U.S Government. Header image: By Michael Dye. Wargaming Applications, presentation by Dr. Jeff Applegate, Naval Postgraduate School, 31JAN17, to CENTCOM J5/J8 staff, Tampa, FL. A wargame design team can be as small as three or four people covering each of the required skill sets and to allow for delegation of tasks or as large as dozens if additional support for scenario development, white cell, research and multiple facilitators are required. It should include, as a minimum, skills in planning, data analysis, models/simulations, and topic expertise. Moderation / facilitation is a critical component to either seminar or matrix games to ensure all players are given the opportunity to contribute, no one player dominates a discussion, and conversations do not skew too far off topic and consume limited time. Rex Brynen, Review: Matrix Games for Modern Wargaming, 20SEP14, PAXsims, accessed 5FEB17. https://paxsims.wordpress.com/2014/09/20/review-matrix-games-for-modern-wargaming/. Note: Dice are used to represent random chance and micro-level events that may occur in reality that could allow or disrupt a planned course of action. Dice are not a requirement, but their inclusion alleviates the adjudicator from having to be concerned with personal biases of their own or the players and makes the game seem fairer to players. A seven is the minimum established for success on two six-sided dice in order to represent a reasonable chance of success and meant to simulate probability of all the events that might aid or detract from reaching such an end state in a given timeframe. Failure (six or less) could be the result of shipyard strikes, diplomatic problems, information leaks and so on. By resorting to dice to represent all the possibilities, the game can continue on at a strategic level without addressing every “what if” that could be imagined.